Why not save time and money by combining your wedding with your honeymoon on a romantic cruise? A wedding that takes place on your cruise can be a beautiful way to start a journey together as a couple. However, it's not quite as easy as it looks in the movies. 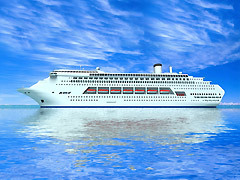 You will need time to arrange a wedding and it is best to start at least a couple of months before your cruise leaves. In reality, most couples don't get married at sea, or on the actual cruise ship. In order to do this, you need to find a cruise line that has a wedding department and someone (often the captain) to perform a legal ceremony. Not all captains have the legal right to marry couples, so check this ahead of time if your heart is set on an ocean bound ceremony. For most couples, getting married just before you leave the port or at another port of call along the way is a great compromise that can be done on any cruise line. There are a few things you'll need to put in place ahead of time . . . often the cruise line will help you out with this. For example, you will need to decide where you will have the wedding ceremony performed, since most cruises have more than one stop. 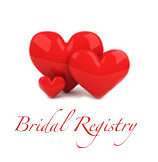 In order to get married in a foreign port of call, you will need to have the right paperwork. Some states actually allow you to use their marriage license abroad, so make sure you check this ahead of time. Otherwise, you will need to find out what paperwork is required for the port of your choice. This will be reviewed upon arrival in the port, even if you plan to marry aboard the ship. Other options for cruise ship marriages include tying the knot on the beach or at a local church. This will require additional arrangements, but if you really want a wedding to remember, it can really be worth the extra effort. Getting married in a foreign country may require other specifics like placing a notice in the local newspaper, before you are allowed to have a formal ceremony. This can take time, so make sure you are aware of all regulations and requirements ahead of time and if you won't be able to complete them in time, pick another location for your cruise wedding. One thing is for sure, you can't just throw together a last minute cruise ship wedding. You will need time to plan it, particularly if you want to invite friends and family, since the paperwork doesn't happen overnight. Different countries have different rules as to who can be married and what is required. Also, keep in mind that if you are married aboard a cruise ship, your wedding license may be issued by the ship's mother country of origin or registration, which is usually outside the US. You will want to ensure that this is acceptable in your home country, otherwise it will be necessary to conduct another wedding once you return. Having your wedding on a cruise can be a wonderful experience, if you have prepared correctly. Enjoy a romantic wedding aboard the ship or on a beach and then continue with your honeymoon . . . that part is already taken care of! Just remember that you need to take time to plan everything out, just like with any other wedding arrangements. Set it up ahead of time and enjoy! PS: Consult with a Certified Destination Wedding & Honeymoon Specialist, a Travel Consultant who is able to help you in understanding the rules and help a great deal with obtaining value-added amenities because of their vendor relationship. 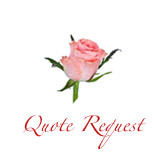 They can save you money, time and effort and better insure that your event is carried out to exceed your expectations. HEARTS on the GO has certified agent consultants anxious to help you with this important event in your life.